One of the best ways to hook the users of your app is to show them personalized content. A good example is YouTube’s video suggestions based on previously watched videos. Another popular one is Amazon’s suggestion to view similar items based on previously viewed products. Another example is Instagram’s method of choosing which images and videos to show when you search or explore. In this article, we'll walk you through the steps of building a simple application that suggests personalized videos to a user based on videos the user has recently uploaded: the user uploads videos and in return gets a feed of related videos. 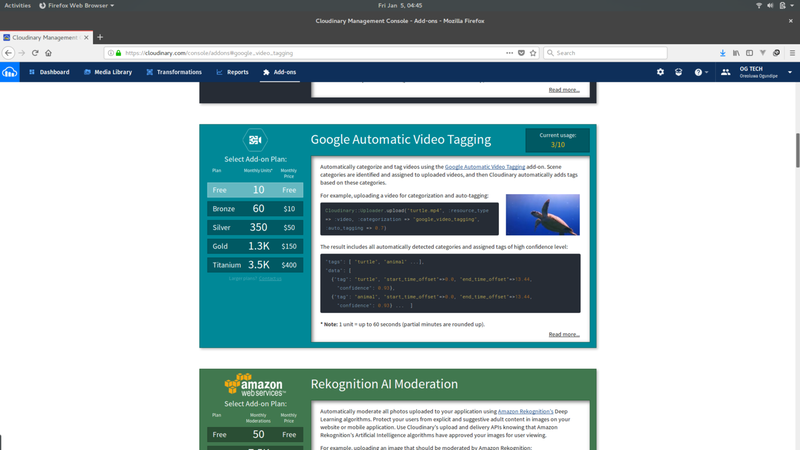 To do this, we are going to take advantage of Cloudinary’s video player and their Automatic Video Tagging Add-on, powered by Google. Node Package Manager (npm) is installed on your machine. If you get version numbers as results then you can follow along with this tutorial. Otherwise, go ahead and install these, or just read along to see how we've done it. 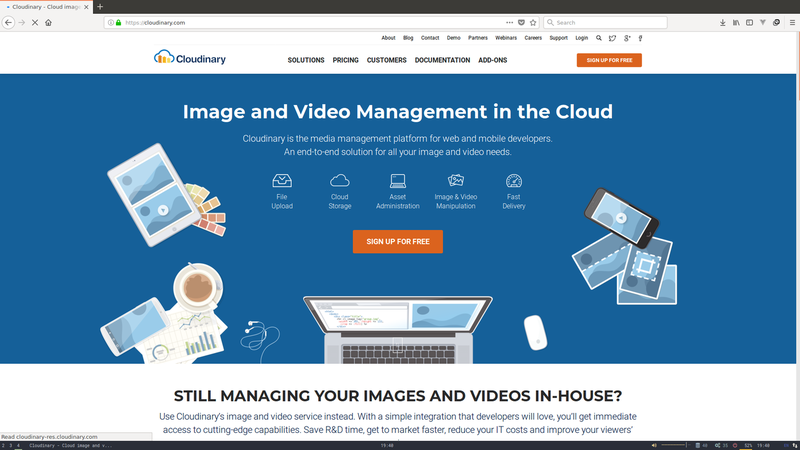 Cloudinary is a one-stop-shop for image and video management, including manipulation, optimization, and delivery. With Cloudinary, you save yourself extra hours that you would have spent developing all kinds of functionality related to manipulating and delivering the videos in your app. Creating a Cloudinary Account: Follow this link to sign up. Once you’re successfully signed up to Cloudinary, you’ll be redirected to your dashboard, where you can see your CLOUD_NAME, API_KEY, API_SECRET. You will need these values later in this tutorial. Now, you can add the Automatic Video Tagging Add-on to your account. Go ahead and register for the free tier. 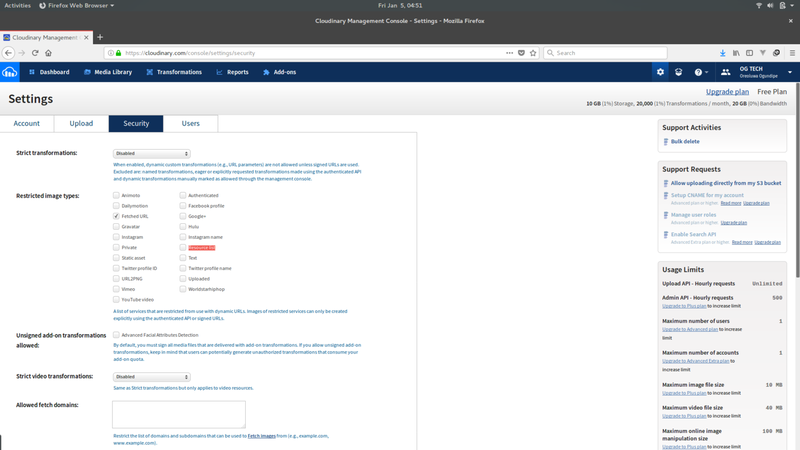 This allows you to use the add-on as we are going to do in a few steps..
To allow your Cloudinary client to query the media on an account for different tags, you need to ensure that the resource list option is unchecked in the Restricted Image Types under the security tab of your Cloudinary account. If left checked, you will not be able to query the media library for video tags. To handle your API calls to Cloudinary, we’ll be using an express server. With the above commands, we set our app to use cors. We also instruct the app to the parse the requests in JSON format. Now you need to configure our Cloudinary client using your CLOUD_NAME, API_KEY and API_SECRET. You can find these values on the Dashboard when you log in to your Cloudinary account. For the upload part of the app, we use the Cloudinary client and the video that will be sent to us as part of the post request when a call is made to the upload route of our application. This then sends the video to our Cloudinary Media Library. In our upload command, we also include google_video_tagging as the category. This triggers the auto_tagging feature and stores detected tags together with our video in the Media Library. auto_tagging: 0.4 represents the degree of confidence to be used for the detected tags. To get the detected tags for the videos that our user has uploaded, we use the Cloudinary client to fetch tags for resource_type: 'video'. Now, we want to create the Upload component responsible for uploading the video. The above component has two methods upload and onSubmit. The upload method assigns the uploaded video to this.video and the onSubmit method adds the video to the formData and then sends the post request to the /upload route of our backend server. When the component above is mounted, we make a get request to the /suggest route of our server which returns to us the list of tags and then we play the videos for resource's the first tag using the Cloudinary VideoPlayer's playlistByTag function. We see the Upload and Playlist templates being used here. We have seen how to build a Video Suggestion App using Cloudinary and some Vue.js. You can view the complete source code on GitHub. There are, of course, many other scenarios where you can use capture data about the content uploaded by your users in order to give them a more personalized experience in your application. This tutorial just touches the tip of the iceberg of this potential. We'd love to hear the ways you are using such data to personalize content. Let us know in the comments below!